How to Get Rid of Stink Bugs – Once and for All! How to Get Rid of Stink Bugs – Once and for All! How to Get Rid of Stink Bugs – Once and for All! If you are interested in learning how to get rid of stink bugs, you are not alone. Seasonal changes in both temperature and the length of days typically cue these pests to find warm quarters. While most of these creatures will nest in the great outdoors, there are many that will seek shelter in indoor areas – such as your home. 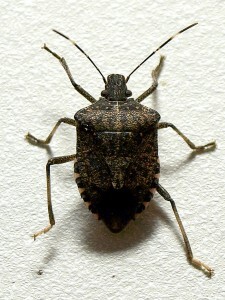 Stink bugs are not the type of pests that are known to bite or sting. These insects do not raid the food sources in your pantry or destroy your home; however, there is one main problem associated with these creatures – they emit a devastating odor that is quite memorable to all who come in contact with it. This odor is typically emitted when the pest is disturbed or they feel as if they are threatened. Once the smell is released, it attaches itself to whatever it comes in contact with – well after the stink bug has gone. In this brief pest control guide, you will learn how to get rid of stink bugs, once and for all! First, inspect all of the screens of your home. These include those on your windows, your doors, exhaust fans, and soffit vents. If you find any holes or tears, replace as necessary. All of the spots where certain items like wires and pipes penetrate to the exterior area of your home should be completely sealed. You should also seal areas near the windows, near seams, and any skylights. Typically, insects only require about 1/8 of an inch to enter into a structure. You should rub all of the screens of your home with extremely strong-smelling dryer sheets. Apply an insecticide around the diameter of your home in order to repel stink bugs. If you find that stink bugs are present in or around your home and you are having a difficult time controlling them, you may require professional pest control services. Learning how to get rid of stink bugs is not a challenging endeavor. The biggest challenge occurs when there are large amounts of these insects. Small batches may be easily dealt with by using the methods outlined in this brief guide. If there are large amounts of the bugs present, you will require professional pest control services for stink bugs control. If you are ready to get the help you need, contact All Pest Exterminating Inc. today by calling 765-965-2171.